As I write this, on 3/31/18, a Blue Moon is rising on the night before Easter Sunday. By convention (and agreement per the Council of Nicaea in the year 325), Easter occurs on the first Sunday after the first full moon that occurs after the Vernal Equinox – one of the few remaining holidays that is still driven largely by the alignment of celestial bodies. While we wait for Easter to arrive, we also wait patiently for Tiangong-1 to de-orbit. The latest predictions have it crashing to Earth on April 2, 0200 UTC (about 10pm on 4/1/18 on the East Coast of the US). How ironic would it be for Tiangong-1 to come down on April Fool’s Day? I certainly can’t speak for everybody, but I’m kinda hoping that when Tiangong-1 does finally grab enough atmosphere to start decelerating rapidly and burning up, it’s somewhere I can see it. Ought to be a heck of a meteor. We’re almost 2 weeks into Spring now in the northern hemisphere, at least as defined by the Vernal Equinox back on March 20, when the Sun crossed into the Northern hemisphere. Astronomically speaking, those of us north of the equator are now leaning toward the Sun in the daytime. Catch some rays, folks, the weather WILL be warming up. Aside from cowering in anticipation of a crashing Chinese space station, there’s a good reason to be looking up this week – and it’s an early morning thing. About an hour before sunrise, get up and look low in the southeast. Hovering right above “the Teapot” asterism in Sagittarius, Mars and Saturn are sitting right next to each other. Their closest approach will be on Monday, April 2, predawn. 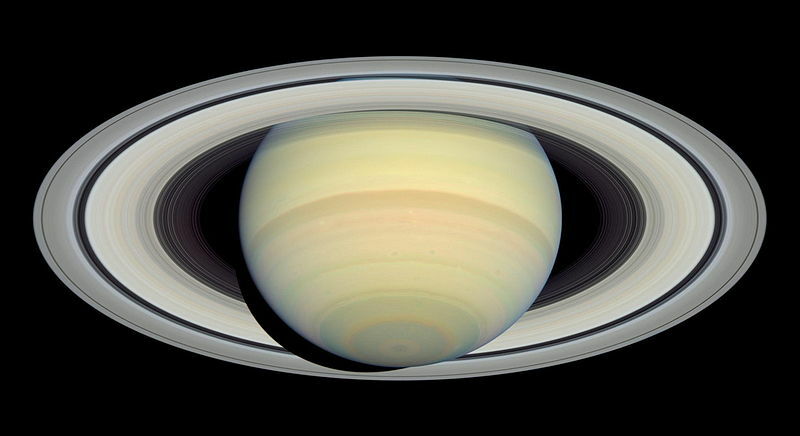 Take some time and pull out the telescope – Saturn’s rings are always fun to look at, and Mars is getting closer to us. Well, we’re actually overtaking Mars – and when we pull inline with it later this year (Mars at opposition, or directly opposite the Sun), it will be unusually close to us. Consider this week’s look a preview. Juipter is also up pre-dawn, high in the west. Venus is getting higher in the evening sky, now shining brightly for a couple hours after sunset, high in the west. No matter what you’re up to this week, I hope you take some time to enjoy the stars. 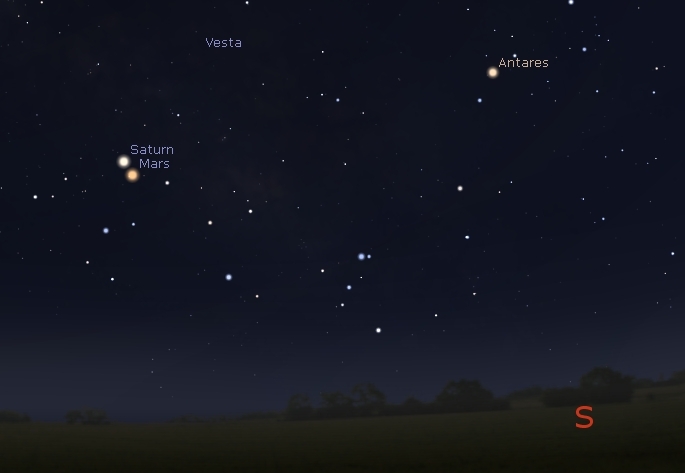 I’m hoping to see Mars and Saturn on Monday morning, weather and my alarm clock permitting. I’m going to try, but afraid the weather won’t cooperate. Looking forward to some of your pics if you can get them! Good luck!